Now a days i am getting irritation for slow working of google chrome. That’s why finally i decide that i had to find out solution for this problem. You may also getting this problem. Here i will share with you how to speed up google chrome. It may help you to make google chrome faster. There are few tricks which help you to speed up google chrome. By using Data saver extension, disabling images from content settings, disabling DNS reloading services, you need to remove extensions from chrome, everyday clearing data from browser. These tricks can make your chrome more faster and better performance. Here i will give you full information about how to make google chrome more faster. It’s a very important to maintain google chrome faster otherwise it’s take hours and hours to open up page. It’s a very easy and simple to speed up google chrome. Just you need to change some chrome settings that’s it. Just follow here i will give you tricks and tips to make chrome faster. Use a prediction service to help complete searches and URLs typed in the addressee bar or the app launcher search box. Trick 2 : By clearing your browser data you can speed up your google chrome. Here i will tell you how to do this process. Simple go to the “Settings – ‘Click on History Button or (Ctrl H) ‘ – press the clear browsing data. Trick 3 : There is another trick which makes your chrome more faster. When ever you download any extension, it increase chrome loading time, that leads to slow speed. 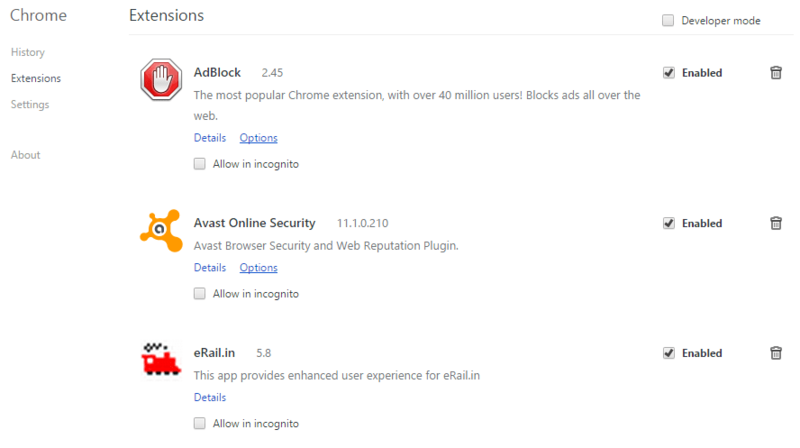 So remove unwanted application from Chrome. First you have to click on “Settings” and next at left most side there is a extension option. Just simple click on extensions then you will get all extensions on your chrome. Now you need to remove from chrome. At right side there is dustbin button , just click to delete from chrome. Trick 4 : Here is one easy trick. 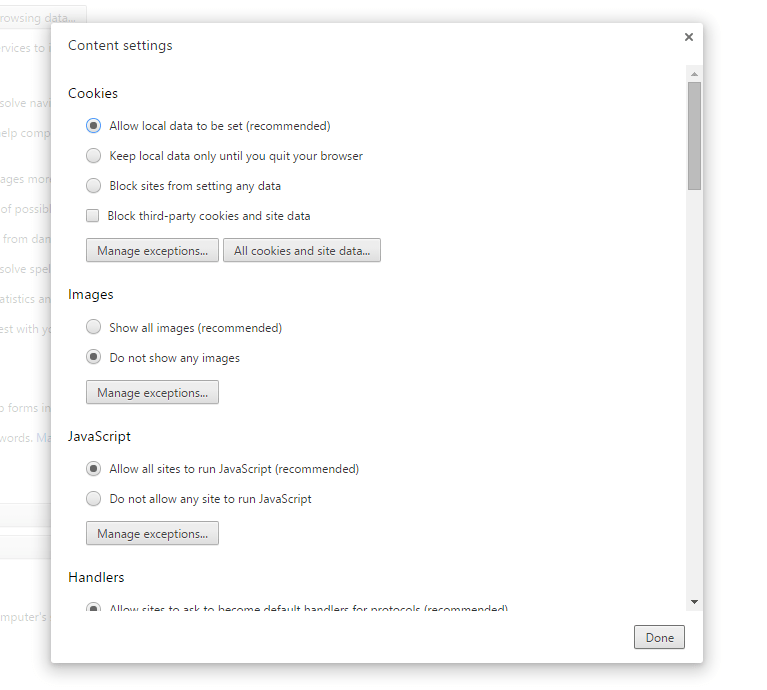 By disabling do not show any images option, you can improve your chrome speed. 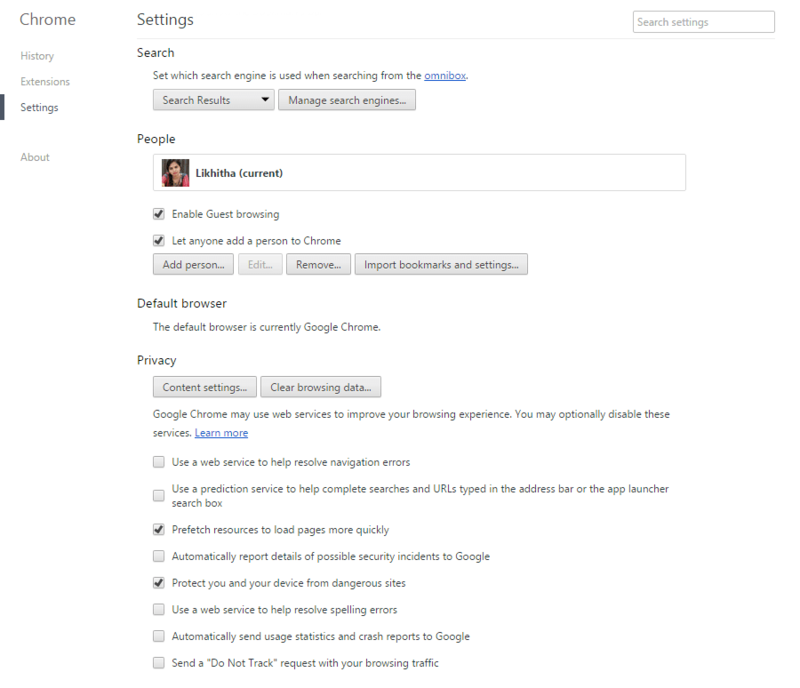 Simple go to “settings – Click on Show Advance settings – Next it will open up to Privacy Options. There you will find out content settings. Just simple click on Content settings. There is a image panel and just below there are two options. You need to enable second option that is do not show any images. 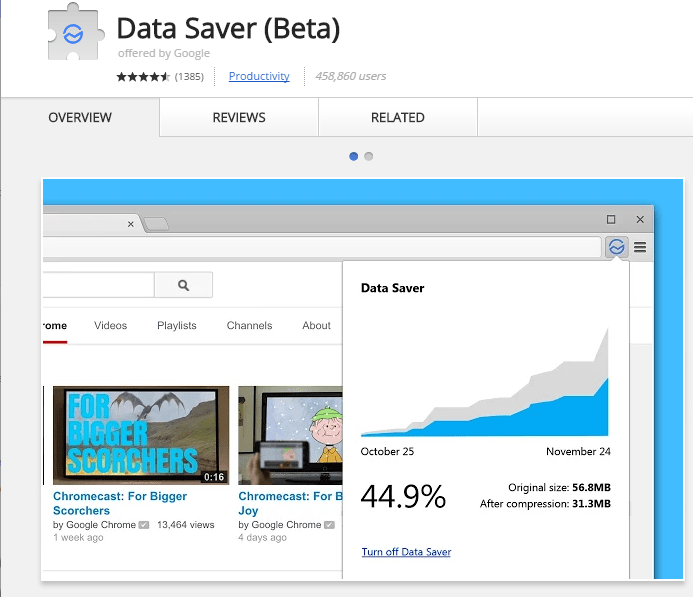 Trick 5: By using data saver extension you can make chrome faster. 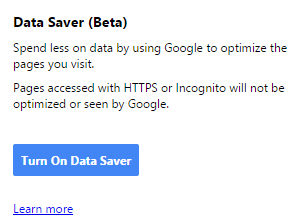 You can reduce data usage from chrome. It’s available freely on google play store. Simple download on your system. After downloading the software it will automatically add to your chrome. You need to turn on data saver button. These are best tricks and tips for to speed up google chrome. It’s a very easy and simple tricks. What you have to do is simple changing your chrome settings. Better way to make your google chrome more fast and speed. I hope you get some idea about these tricks and tips.